We couldn’t be happier to be announcing on World Vegetarian Day our launch on the all natural food marketplace Yumbles. We’re joining an impressive host of small businesses passionate about handcrafting real food in this “curated marketplace connecting food lovers with the UK’s best small batch independent food and drink producers”. 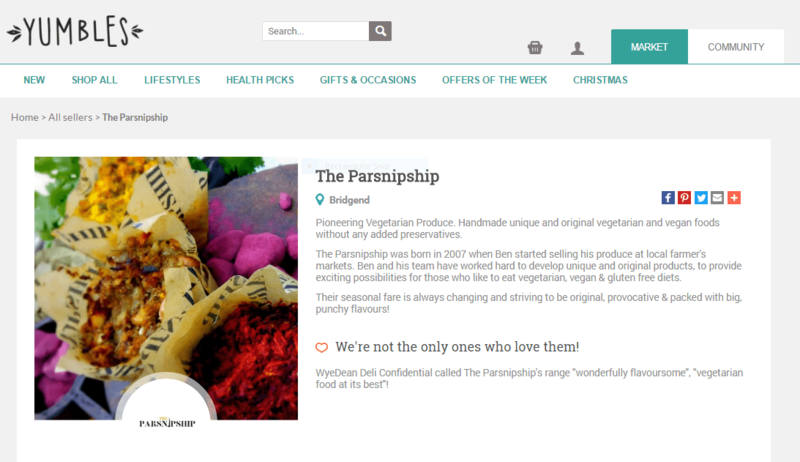 So from today, as well as purchasing our pioneering vegetarian produce from our own online shop, you can also find our creations on Yumbles amongst thousands of other incredible looking treats – some of which we got to try recently when we went to meet the Yumbles team and some of their existing producers over a stonkingly gorgeous blackberry & gin cocktail. There was such a buzz within this network of foodies and we’re delighted to be joining them to offer our fresh vegetarian and vegan foods direct to customers old and new. This weekend, coincides with the Yumbles Christmas product launch which is great timing for us, but also with World Vegetarian Day, which give us a great opportunity to encourage people to explore vegetarian food and values. Celebrating this day marks the start of Vegetarian Awareness Month, which ends with World Vegan Day on 1st November. By then (once you’re all converted!! ), we’ll have finalised our list of Christmas markets and events … so more news then!